Home » architecture » Art » Comments » Countries » Crafts » Europe » History » museums » Popular Articles » tours » Travel » To Vienna for art! Albertina Raffael Santi, Albrecht Dürer, Rembrandt. And what about Leonardo da Vinci, Michelangelo Buonarroti, Peter Paul Rubens or Pablo Picasso? Interested? Keep reading! 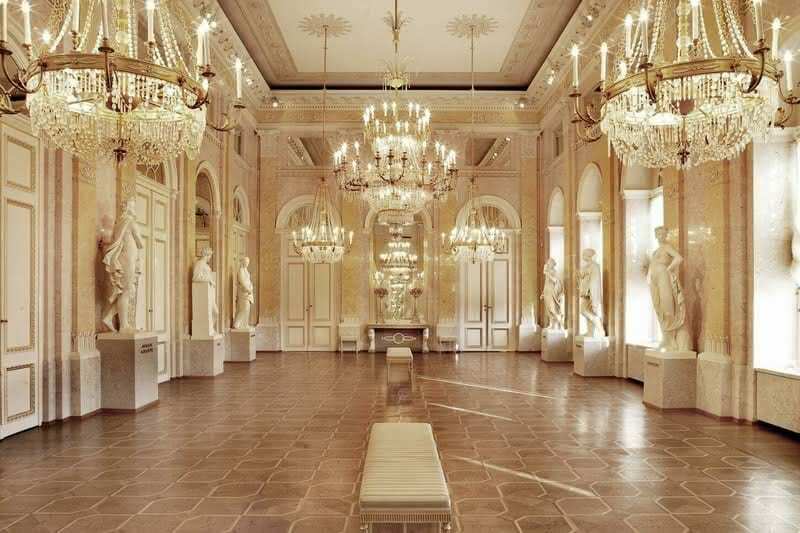 The gallery is housed in the palace of the same name, which forms the southeast end of the Imperial Palace (Hofburg) and contains one of the world’s largest collections of graphics. The gallery’s collection consists of about 50,000 drawings, etchings and watercolors and more than 1.5 million engravings. Also important is a collection of photographs documenting the development of this medium. The beginning of the collection is considered the date July 4, 1776, coincidentally the same day that the US Congress approved the Declaration of Independence. That day, Duke Albert and his wife, Archduchess Marie Kristina, took over a thousand copperplate engravings from Venice’s Austrian Emperor for the Imperial Collection. Duke Albert continued to expand his collection with paintings such as Leonardo Da Vinci and Raffael Santi. 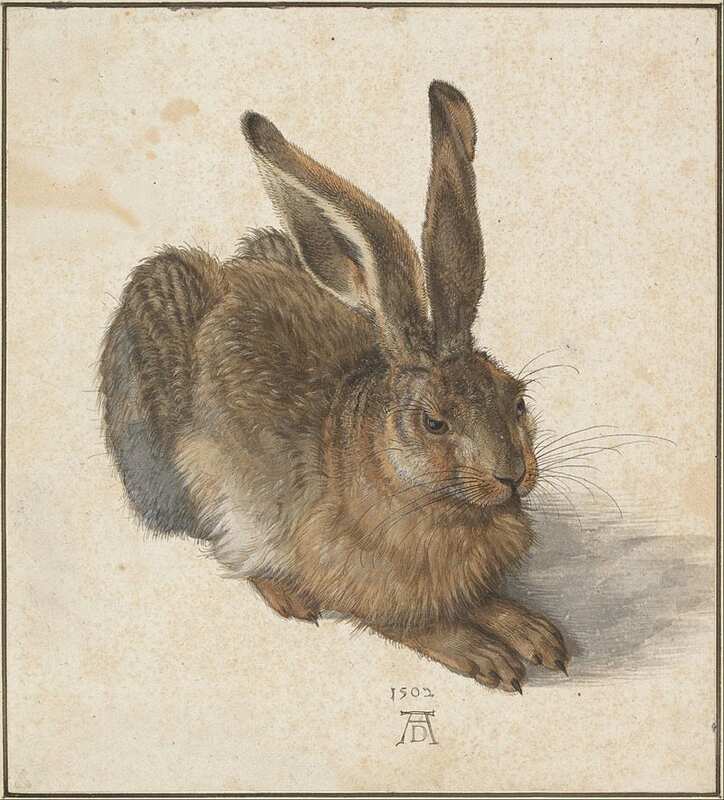 In 1796, in exchange from the imperial court library, he acquired the works of Albrecht Dürer. From here (from the collection of Eugene of Savoy), the works of Rubens, Rembrandt and van Dyck came here. Around 1800, Duke Albert acquired a collection of Dutch painter and art collector Cornelis Ploos van Amsteel for the gallery, which added a valuable set of Dutch drawings to Albertina. The basis of the graphic and drawing collections was completed, and further additions to the 1919 inventory were added. 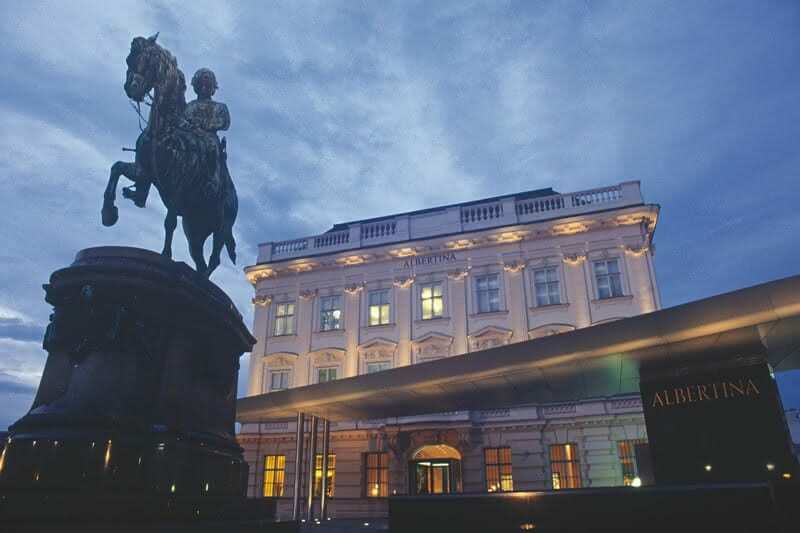 At the beginning of 1919 the gallery building and its collections were transferred from the property of the Habsburgs to the ownership of the Republic of Austria. In 1920, the collection of engravings was associated with the collection of the old court library (Hofbibliothek). 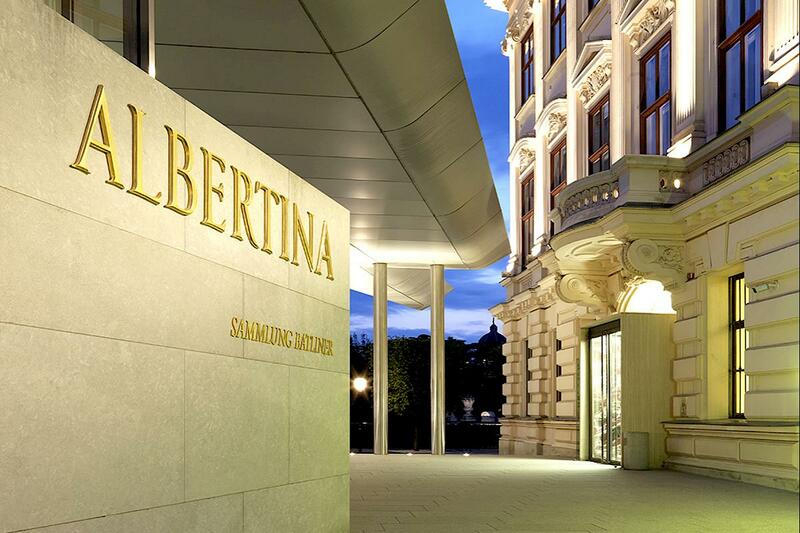 The Albertina got its official name in 1921. In the interwar period, then director Alfred Stix decided to sell some duplicates from the graphic collection. Thus he gained the means to close the gaps, especially in the field of French 19th century drawing. 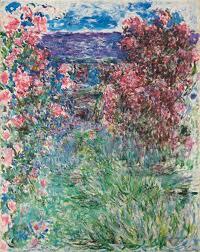 In autumn 2007, Albertina got one of the most significant gifts in its history. A married couple Herbert and Rita Batliner gallery handed their collection of 200 oil paintings of European modernism by Monet, Cezanne, Picasso, Miró, Chagall, Malevich, Bacon, Klea and many other painters. Opening hours are daily from 10 am to 6 pm, Wednesday and Friday closing at 9 pm. The regular entrance fee is 16 euros, 11 euros for seniors and students. Tickets can also be purchased online, which I highly recommend. You avoid the front and you can go straight to the exhibition. I recommend that you reserve enough time to go. There’s plenty to see. If you are a great art lover and want to go through everything, I’d book almost all day or a substantial part of it. There is also a well-known “sausage stand” next to the Albertina. So you can refresh yourself after the exhibition. For me, visiting Albertina was great. I was very impressed by the space of the gallery itself and the exhibited works here. 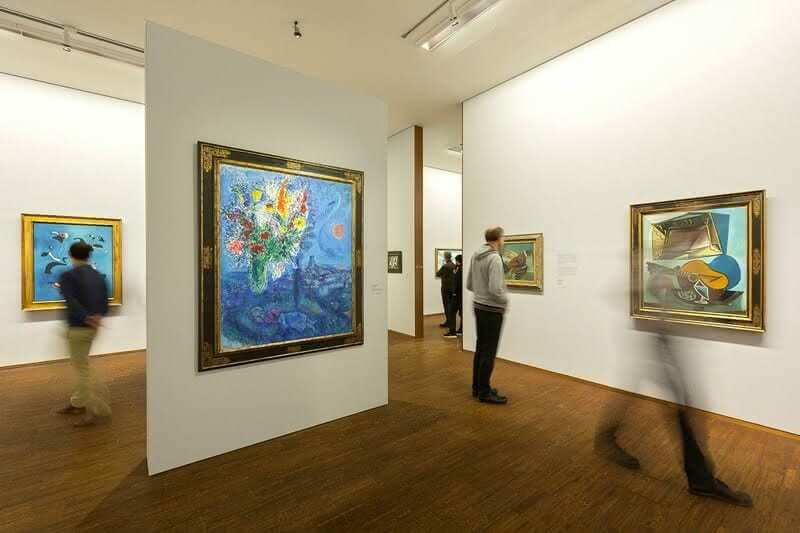 You will find here the works of the most famous artists as well as the Austrian ones. For me, one of the best galleries I’ve ever visited.